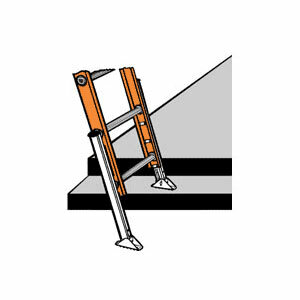 Easily attaches to Werner fiberglass and aluminum extension ladders to level ladder on uneven surfaces. Automatically adjusts up to 8-1/2". Easily levels and locks securely in place. The width of the ladder is increased by approximately 3-3/4". Note: The ladder's duty rating will remain the same after proper installation of leveler. Two (2) ladder levelers (one for each ladder rail) come with mounting hardware and instructions.